The last few trips were full of surprises with an early season pompano, good sheepshead action, a few trout, some flounder showing up and of course beautiful redfish!! 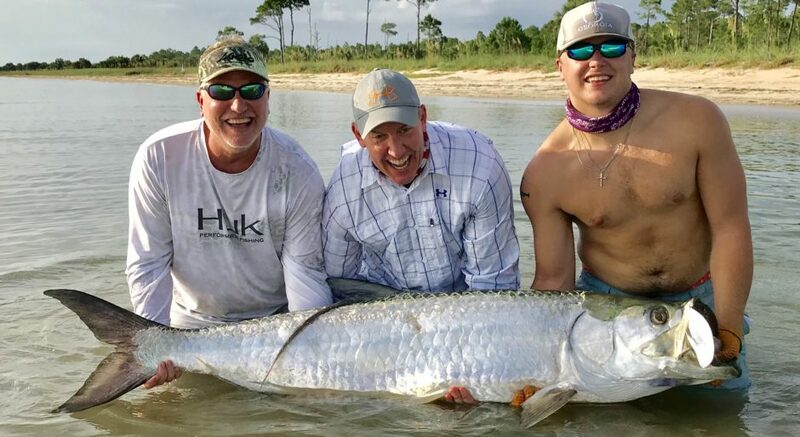 The sheepshead bite continues with a big redfish kicker!! Posted in Fishing Charter Pictures	| Comments Off on Sheepshead and Big Redfish! It was windy and chilly once again this morning but Donna and Harry were up to the task! The sheepshead bite was on fire!!! Posted in Fishing Charter Pictures	| Comments Off on Strong Sheepshead Bite!! Windy And Cold, Hmmmm…Let’s Fish! The nasty conditions couldn’t keep Charlotte and Gary from getting after the fish again today! Not the strongest of bites but we managed a couple nice sheepshead, some beautiful redfish and three flounder! What’s for dinner?! Posted in Fishing Charter Pictures	| Comments Off on Windy And Cold, Hmmmm…Let’s Fish! The wind didn’t allow us to get on the big water so we made the best of it up the inter coastal waterway!! Posted in Fishing Charter Pictures	| Comments Off on Plan “B” Paid Off! So Sick Of The Cold, I Had To Take It Out On Some Redfish! I couldn’t take it anymore! It’s been cold and windy forever so i took my frustrations out on some beautiful redfish!!!! Posted in Fishing Charter Pictures	| Comments Off on So Sick Of The Cold, I Had To Take It Out On Some Redfish!